Behaving much like ladybugs exiting the ground around the post that holds our rain gauge at the corrals in Greasy last Saturday, I am assuming they are one of 5,000 species of Ladybird Beetles I wasn’t able to identify. No macro, using the point and shoot, click to enlarge the unusual patterns. 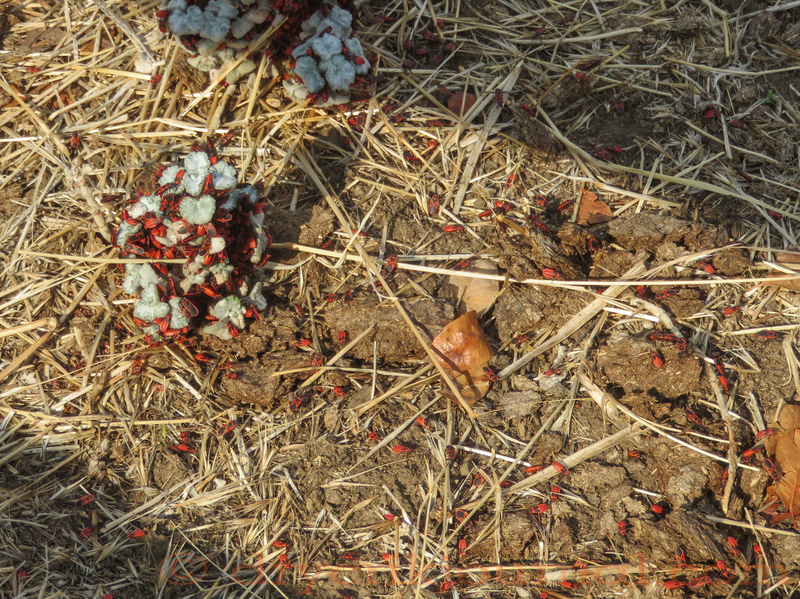 Feedback from Facebook identifies these as Box Elder bugs. 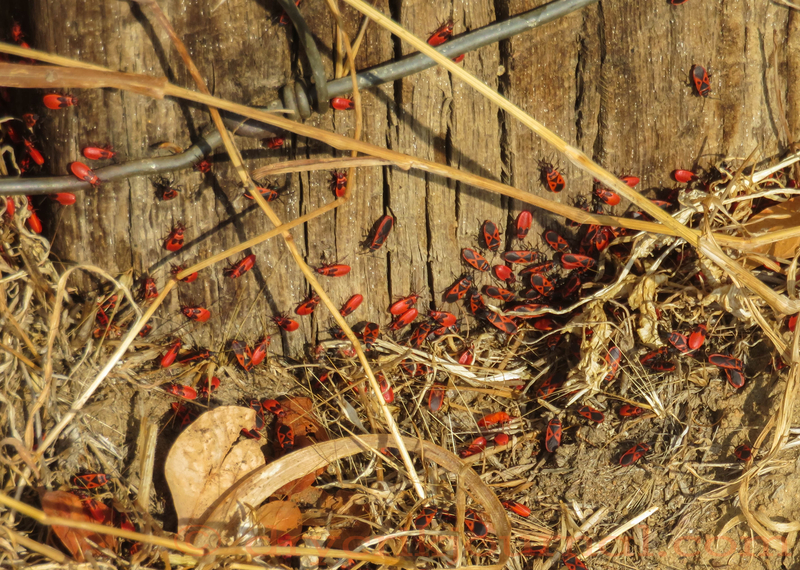 This entry was posted in Photographs, Ranch Journal and tagged Box Elder Bugs, entomology, ladybird beetles, Ladybugs. Bookmark the permalink. They are beautiful up close – remind me of native american woven blankets . . .